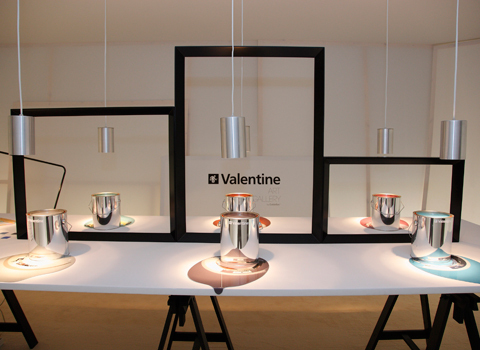 CuldeSac designed the Valentine showroom for the CasaDecor 2010 exhibition in Barcelona. 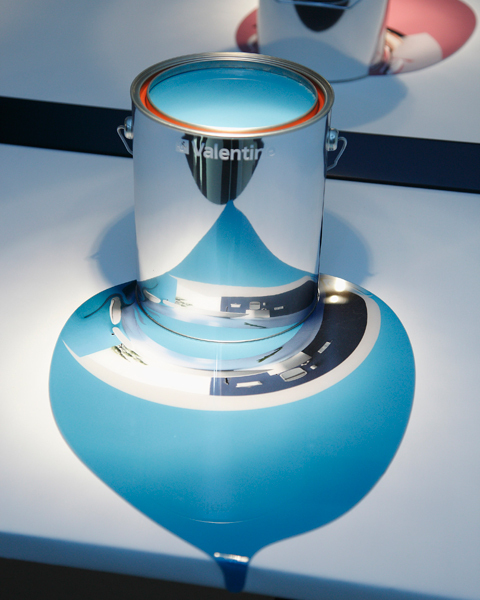 The paint company’s brand value and CuldeSac’s scenographic experience join forces after 3 years experience in the emotion of the senses. 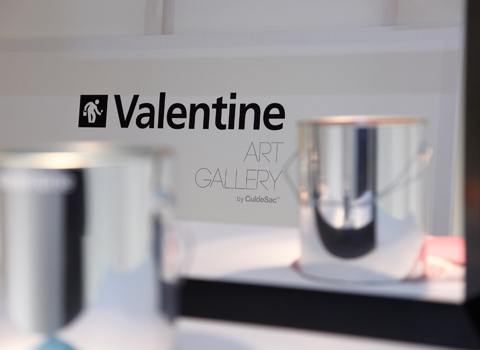 Constantly aiming to elevate paint to its highest level, the Valentine space was conceived as an art gallery where the expression of art, the perceptive stimulation and the language of paint and color converged. 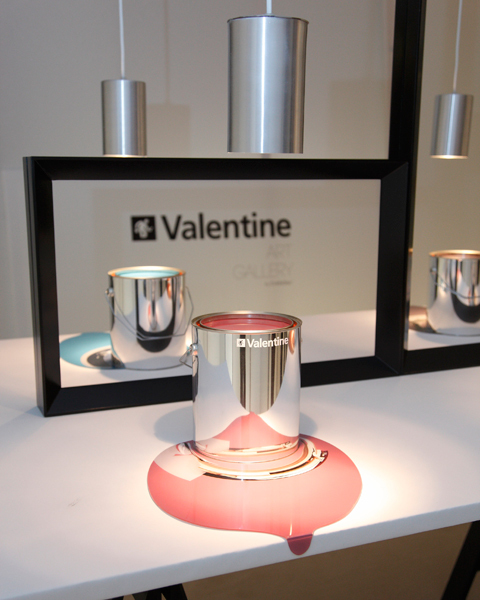 Thanks to an optical illusion game, Valentine’s new colors reflect in the chrome- plated paint pots -the usual containers of paint- bringing coherence and familiarity to the whole scenography. This effect reproduces Valentine’s new collection dressing the walls of the different rooms in a home. With this visual language, the paint company shows its particular vision of home decor and express it through Valentine’s new collection of trend colors. The installation skin is formed by a series of blank canvas and blind frames establishing the relational plot between art and Valentine’s paint and impregnating the space with the delicate intimacy of an art gallery.